Alrosa, the Russian diamond mining giant and the world’s leading diamond mining company, producing 36.9 million carats in aggregate rough diamond production in 2013, announced on June 27, 2014, the commissioning of its Udachny underground mine, the fourth underground mine to be operated by the company in Russia, anticipated to become the largest underground diamond mine in Russia and one of the largest in the world. 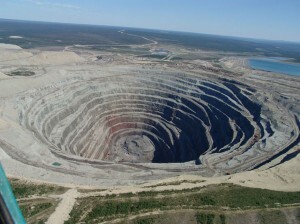 Udachnaya kimberlite pipe, situated near the town of Udachny, one of Alrosa’s largest deposits was discovered in 1955, and exploitation of the pipe as an open-pit mine began in 1971. 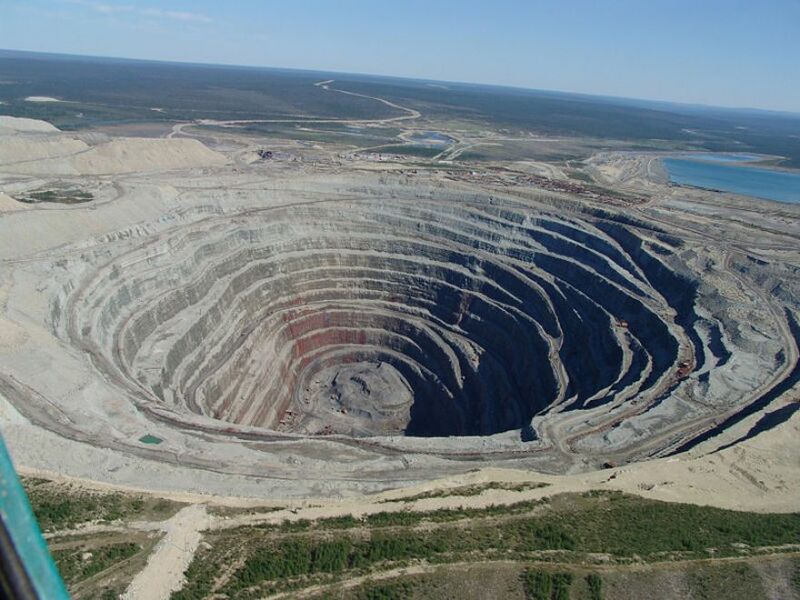 Eventually Udachnaya open-pit mine became one of the largest open-pit mines in the world, producing around US$80 billion worth of rough diamonds throughout its period of operation so far. 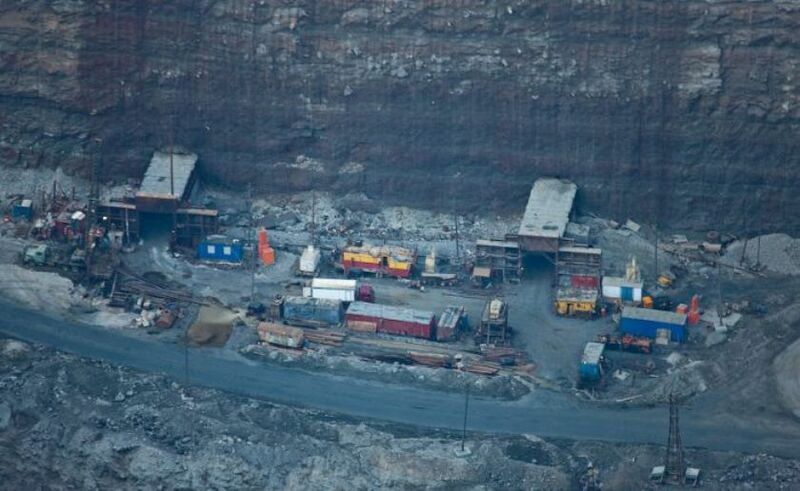 Open-pit mining at Udachnaya pipe is expected to be fully completed by the year 2015. Until then both underground and open-pit operations will run parallel at the mine. Diamond mining at Udachny underground mine in the second-half of 2014 will be ancillary to the ore body development. Commercial production is expected to begin in 2015 and will reach 2.4-3.0 million tons of ore per year by 2016 and eventually expected to reach its design capacity of 4.0 million tons of ore per year by 2019. The Udachny underground project is estimated to mine about 72.3 million tons of ore by 2034, with additional prospective resources estimated at 72.8 million tons of ore. Udachny underground mine is expected to produce over 5.0 million carats of diamonds annually, once the mine reaches its design capacity. The other three underground mines operated by Alrosa in Russia are the Mir underground mine with a design capacity of one million tons of ore per year; the Aikhal underground mine with a design capacity of 500,000 tons of ore per year and the International underground mine also with a design capacity of 500,000 tons.